The most amazing thing has happened to Bengali cinema. A film named Maacher Jhol is releasing across Mumbai, Bengaluru, Ahmedabad, Pune and Delhi on September 1 with English sub-titles. In West Bengal, it is moving to become the biggest hit of the year, thanks to the innovative and imaginative concept concocted by journalist-director Pratim D Gupta. Maacher Jhol means “fish curry”. It symbolizes the average Bengali who identifies completely with it. Each family has its own distinct recipe of fish curry. Some add long, sliced potatoes or vegetables in season but the basic recipe remains the same. Now comes the pivotal question – how can such a hum-drum, middle-class Bengali recipe become the subject of a full-length feature film? Maacher Jhol is not the subject but a catalytic agent that binds different strands of a story together so well that the finished product placed on your plate seems to be the best you have tasted in recent times. Dev D or Devdutt Sen (Ritwik Chakraborty) is an internationally renowned chef who runs his own Michelin-star restaurants in Paris and USA. He lives in Paris with his girlfriend, a French danseuse who cannot cook to save her life. But he avoids any lifetime commitment, keeping her forever confused about their relationship. A sudden call from Kolkata informing him of his mother’s serious illness brings him back to his family he was estranged from 12 years ago. His father, the scion of an aristocratic family, could never accept that his only son who qualified to become an engineer, quit his solid job to become a chef! The mother’s illness does nothing to mend the schism but brings the mother and son together through a series of experiments with different kinds of maacher jhol over the few days he is in Kolkata. He had left wife Sreela (Paoli Dam) when he left for foreign shores, completely unaware that she was pregnant at the time. The maacher jhol does little to mend the broken marriage but the quiet and distanced wife suggests he proceed with the divorce so that he can at least marry the French girlfriend waiting for him back in Paris. Maacher Jhol is a metaphor for the Bengali family before globalisation attacked ethnic cultural and culinary practices. The film introduces this ‘globalization’ of the fish curry when Dev D creates a project in the hotel he has been staying in, to experiment with different kinds of fish curry. He chooses a pretty young Chef (Sauraseni Maitra) to help him and offer her inputs. She is pulled to him but Dev D keeps his distance. There are repeat shots of a burning stove in close-up with the camera shifting to focus on pieces of cut fish falling into the smoking oil inside a wok, spices being added and so on which pulls back the film a bit too much. But it also acts as a repeated metaphor on the curry being cooked, served by Dev D and relished by his sick mother, played by Mamata Shankar, who does a brilliant job trapped to a hospital bed right through the film. 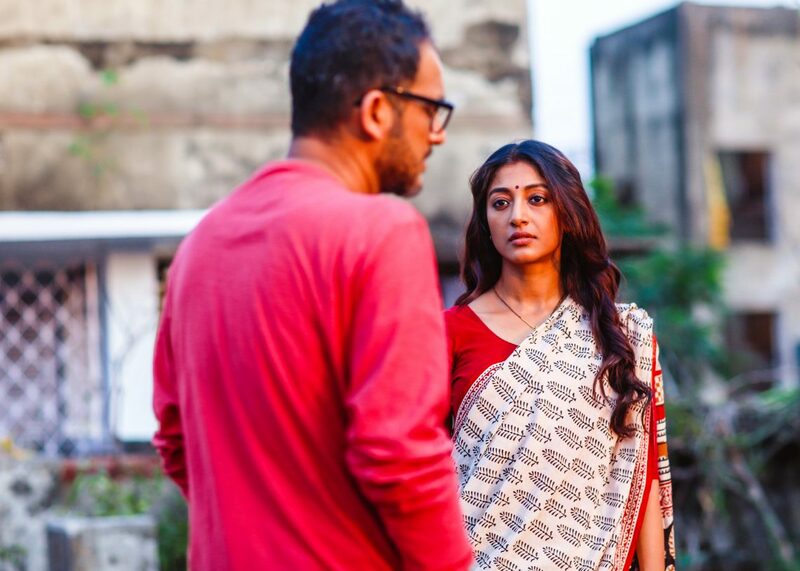 Paoli as Sreela is designedly cold, aloof and never smiles while Sumanta Mukherjee as the angry and embittered father fits into the snobbish image of old style Bengali aristocracy very well. The problem with the actress playing the French girlfriend is that it appears that she does not understand half of what is going on in the film and her expression says it all though she tries to do her best from what is handed to her. The film belongs entirely to Ritwik Chakraborty who ‘becomes’ Devdutt Sen and later on Dev D with masterful command. 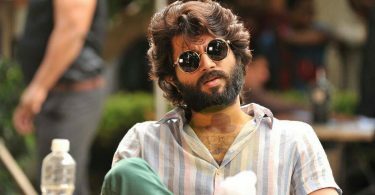 His common-man looks help him make every and any character appear as credible as if a real man has walked into the film! Maacher Jhol runs on several tracks following a young man’s desperate desire to follow the vocation he loves and has a passion for. It creates an eternal split between his father and himself, each one as stubborn and as selfish as the other; it takes a toll on the life of his innocent and young wife, Sreela, who cannot understand what hit her when she finds him packing his bags to leave for foreign shores. In cold blood and a colder voice with a fake smile on his face, Dev D tells her that he is leaving and she can do what she likes with her life; like the escapist he is, he shies away from any permanent commitment with his French girlfriend. 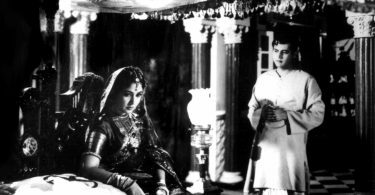 He has second thoughts when he learns he has a son born of her but Sreela, now a frozen version of her naïve self, shoos him away coldly. In all the twelve years that he has been away, why did it not once occur to him to visit his mother who misses him badly and has to satisfy herself with his voice on the occasional long distance calls or watching his famous reality cookery shows on international television. In other words, he is a selfish and arrogant man, proud of his victory and his triumphs enough to rudely dismiss the young journalist (Arjun Chakraborty) waiting forever for an interview. That touch of the young man not using the interview he took in the climax reminds one of Satyajit Ray’s Nayak in which the editor Aditi tears up the notes she took in the train journey of the top matinee idol Arindam Mukherjee. The background score (Avijit Kundu) is subtle and good but it also quite often drowns the sounds of the seasoning spluttering in hot oil and other sounds related to cooking. The songs, few and far between, are good especially the ‘dattak’ song belted out by Anupam Roy. The cinematography (Subhankar Bhar) captures the cityscape of Paris as beautifully as it does the ancestral home of Dev D where his father resides with his wife and an old retinue, an aunt dropping in from time to time, or the posh environs of the five star hotel where Dev D is staying and his spacious suite where he does his cooking experiments with the maacher jhol with the beautiful young girl. The director shows remarkable restraint in not allowing this relationship or, Dev’s relationship with his estranged wife to go out of control at any moment. The jump cuts, the swipes and the wipes in the editing as it leaps from French in Paris to Bengali in Kolkata with a smattering of English here and there create a collage of a simple but selfish man’s evolution from anonymity to fame and from being a ‘family’ person to becoming lonely. For all the film’s merits, this reviewer did not, however, quite care for the ‘global transformation’ of the final maacher jhol cooked with orange juice not because of the unusual concoction but because of the way Dev D serves it – the rice upturned like a sculpted bowl in the center of the plate with the fish gravy poured around this bowl, the rice standing like an island in the middle of a colorful and savory lake! Not done Pratim! We still love to savor our maacher jhol poured directly into a hole we make with our fingers to part the rice on the plate, mixing the rice with the gravy with our palms slowly and deliciously!